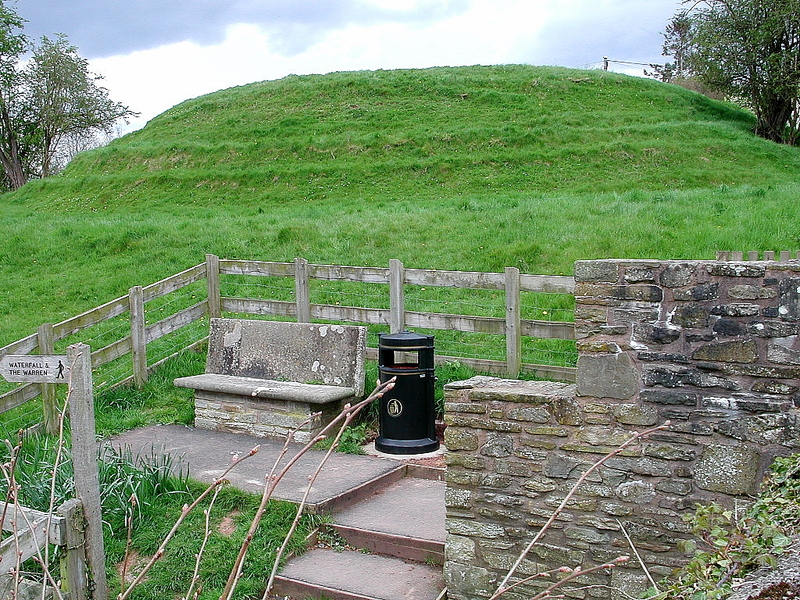 This small but well-preserved motte is 3m high with a summit of 20m across lying close to Saint Mary’s church on the western edge of the town of Hay-on-Wye. The site overlooks a gorge and small stream leading to the Wye. 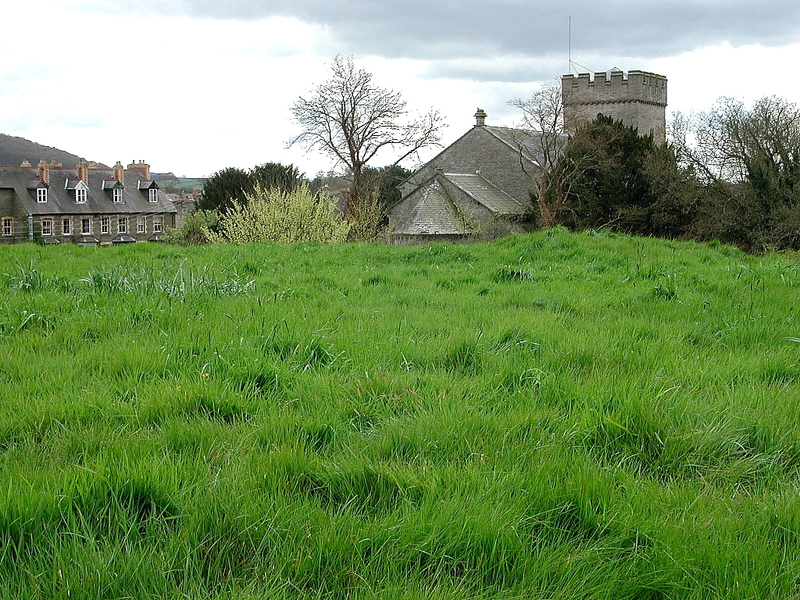 A recently-levelled platform to the northeast may have once been the castle bailey. (Remfry). 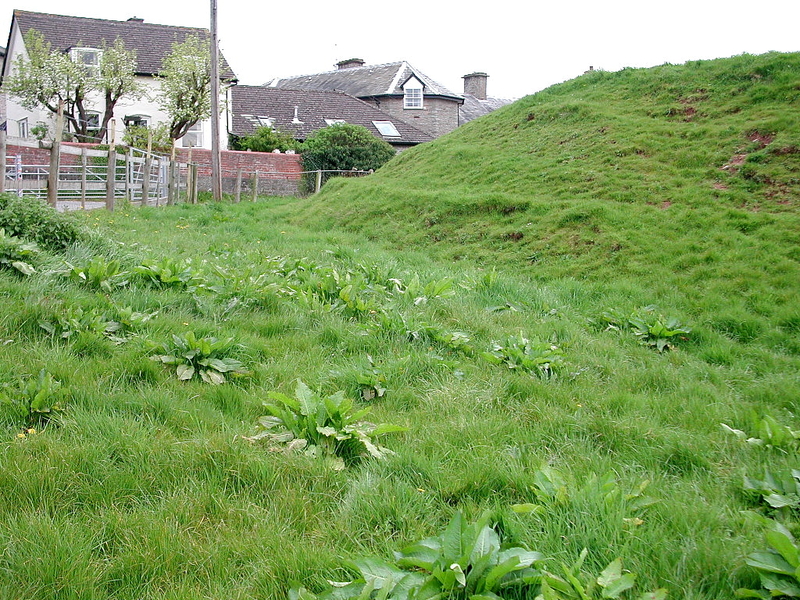 The motte castle at Hay may have been the work of William Revel, a knight of Bernard de Newmarch. 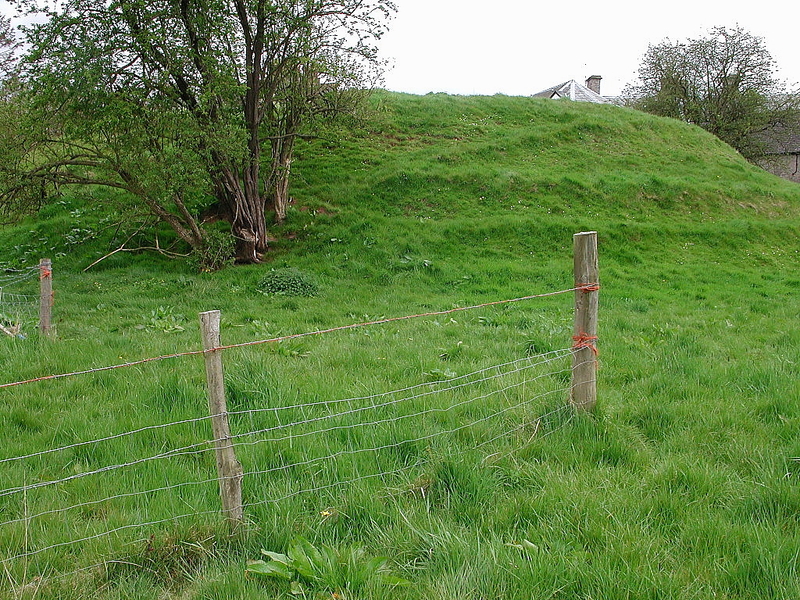 The castle was perhaps the seat for the manor of Melinog and was likely held independently from the nearby masonry castle, the two castles probably being occupied simultaneously (Salter). 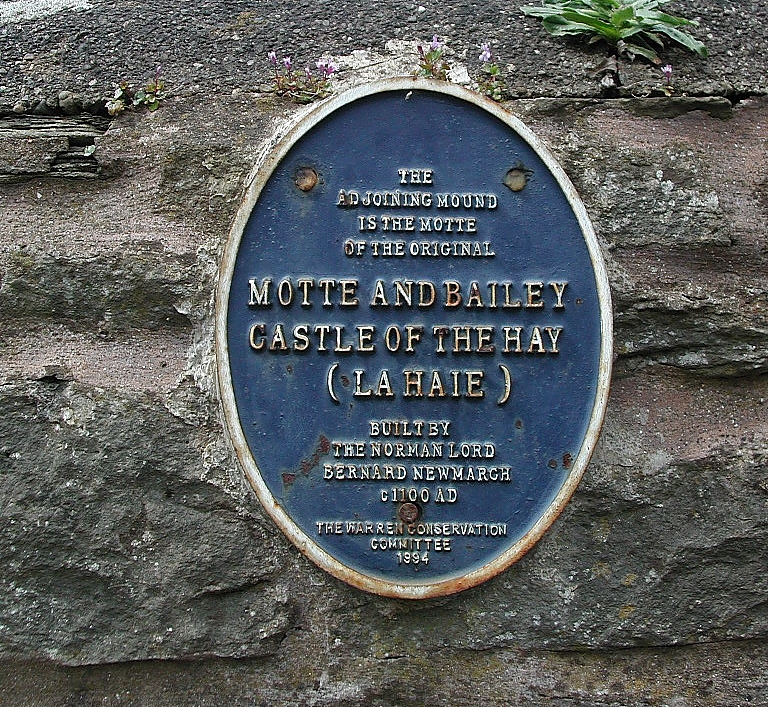 It is also possible that the motte and Hay is somehow related to the similar motte and bailey found at nearby Clyro. Paul M. Remfry, The Castles of Breconshire, Logaston Press, 1999. Mike Salter, The Castles of Mid Wales, Folly Publications, 2001.